Bears who spent more time following sea ice northeast away from land had higher levels of toxics than those who stayed near Svalbard. Exposure to certain chemical pollutants becomes higher the further northeast in the Barents Sea polar bears go, a new international study concludes. The study is published in Environmental Science & Technology. Equipping female polar bears with satellite collars, the researchers could track about bears over a five years period, and compare this with analyses of chemicals in the blood samples from the same bears. Some polar bears walk longer distances in the Arctic, following sea ice, while others remain in the near coastal areas of the Svalbard archipelago. “Polar bears’ diet, pollution of toxics from industry in China and partly in Russia that the bears are exposed to and ice conditions could all be the reasons for higher perfluoroakyl (PFAS) levels in polar bears who follows the ice to the east the those who stay near Svalbard year around,” says research scientist on ecotoxicology Heli Routti with the Norwegian Polar Institute in Tromsø in a statement published on the institute’s portal. The study is part of a Norwegian-Russian cooperation project on polar bears. Levels of polychlorinated biphenyls (PCB) are higher the further northeast the polar bears walk to hunt for seals on the ice. Highest are the levels east of Russia’s Franz Josef Land. PCB, a chemical that has been banned in most countries since 1979, could impact fertility in polar bears that are the top predator in the Arctic. 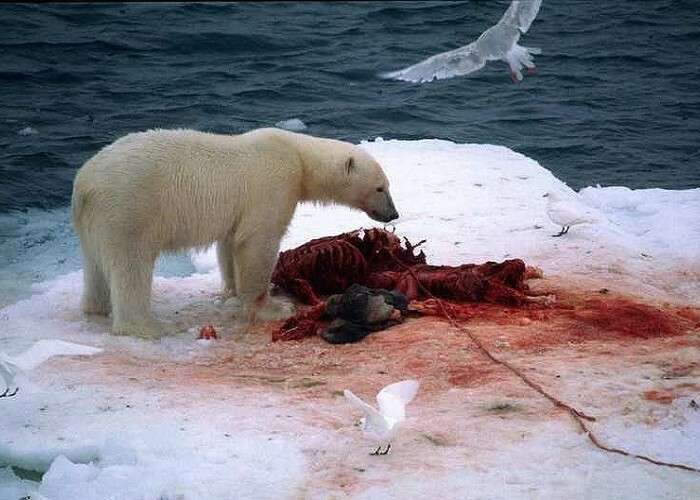 Eating fatty seals, the bears are more exposed since PCB accumulates in animal fat. It is known from other studies that the Norwegian-Russian population of polar bears in the Barents Sea has higher levels of toxins compared with polar bears on Greenland or in Arctic America. One reason for higher levels of PFAS among the polar bears which undertake long northeastern treks, the researchers argue, could be that they require more energy for those walks — and therefore eat more seals exposing themselves to more toxins.